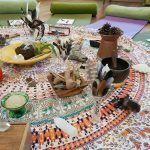 If you are a lover of Nature whether it be a sandy beach, the beautiful bush or countryside and have an interest in Shells, Feathers, Leaves, Rocks, Wood, Tree Sap, Charcoal, Sand, Pine Cones, Nests and Crystals or you are just intrigued as to what they all mean in healing terms then this nurturing workshop is for you! 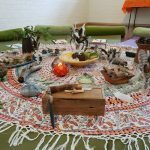 In our empowering and enlightening ‘Nature’s Healing Chi Workshop’ created especially for Healers and Practitioners we will discuss how you can integrate and use these and other beautiful treasures from Nature in your healing sessions. Denise is passionate about nature and all it beholds and has a strong belief that everything connected to Mother Earth has a healing purpose and she will show you how to ‘read’ Mother Nature’s beautiful remedies for your own purposes. We will discuss the meaning and metaphors for each remedy, practice coming up with your own metaphors and how they connect to the stressors you are working with and how to clearly connect and articulate the relevance to your clients or for yourself. Enjoy a beautiful day away in nature in the picturesque Yarra Ranges and together we will discover and delve into all these beautiful remedies from Mother Earth plus a whole heap more. Your mind will be enticed to think outside the box, we will brainstorm and tap into the metaphors, emotions, the metaphysical body and the Elements of Fire, Earth, Metal, Water and Wood for each remedy. You will discover what each of nature’s treasures mean to deepen your connection to nature and the ever unfolding remedies right at your doorstep. Denise has an innate ability to tap into, understand and connect to nature and its essence, it is an ongoing passion and love of hers, ever evolving and deepening since spending her life growing up on a 1000 acre farm in country WA and being surrounded by nature, birds, animals and wildlife. When she eventually moved out of home, she was immediately drawn to live near the beach as she loved the fresh clean air, which connected her back to the country, and watching the sunset over the ocean. She also now loves the balance between her home and clinic near the beach and her weekender country bush property. One of her favourite things to do is go on a bush or beach walk where she collects her remedies from Mother Nature. 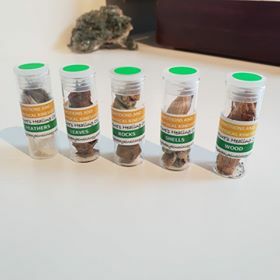 She is excited to finally share her unique system, knowledge, clinical experience and her own interpretations of nature’s beautiful remedies with you plus tried and tested ways to work with the remedies to bring incredible results on a deep healing level. She has created a set of unique metaphors for every remedy and has been gathering and using Shells, Leaves, Rocks, Wood, Feathers, Tree Sap, Charcoal, Handmade Crystal Wands and Crystals in her life, clinic and Kinesiology sessions for as long as she can remember to bring deep healing awareness and also incorporates into all her advanced Accredited Kinesiology Courses. Denise’s clients have found the remedies eye-opening, insightful and extremely healing on so many levels. The workshop will open your eyes to seeing nature through different lenses and enable you to tap into and find your own metaphors for these and other remedies in nature. An incredibly healing and powerful workshop for practitioners to attend to invigorate and deepen their sessions on all levels. As part of this workshop you will receive a unique reference chart of metaphors for each remedy that you can easily refer to plus a very special unique set of five Nature’s Healing Chi Remedies as a Gratitude Gift. Places are limited so enrol online now to secure your seat in Nature’s Healing Chi Workshop. Healers of any kind – Spiritual, Kinesiologist, Massage Therapist, Reiki Practitioner, Energy Healer, Nature lovers… the list goes on and on! Enjoy a revitalising day away in the beautiful Yarra Ranges (only 1 hour relaxing scenic drive from Melbourne) and be immersed in nature’s beauty while you learn in a tranquil, uplifting and awe-inspiring healing space. To purchase any of our beautiful products used in any of our workshops or courses which include our Chakra Emotions Chart, Five Element & Meridian Emotions Chart, Crystal Reference Chart, Essential Oil Chart, Colour Therapy Chart or Clearing Spray please click on the highlighted words or icons below to be directed to the shop.